Fisherman's Cottage is a charming detached 18th century cottage on the edge of Southwell, in a quiet village location with excellent sea views. 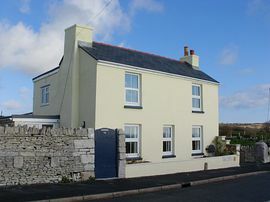 Recently renovated with full central heating throughout. On the ground floor there is a lounge / diner with sea view, a reception room, a fully equipped kitchen, a cloakroom, laundry facilities and a garden room. 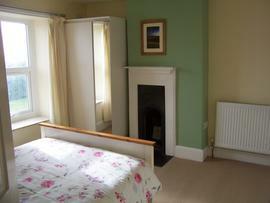 The Twin Bedroom, with window looking east over the sea with views as far as Purbeck. 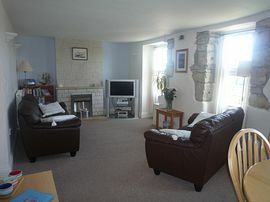 The Double Bedroom, has an uninterrupted sea view south over Freshwater Bay and out into the English Channel. The Master Bedroom, with uninterrupted sea views to the south. It also has an ensuite shower room. All bedrooms have ample storage, dressing area, mirrors and radio alarm clocks. There are two bathrooms, the main bathroom and the ensuite shower room, both are finished to a high standard. Laundry facilities (separate washing machine and tumble dryer). 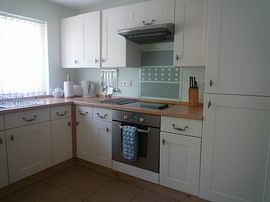 Fully fitted for a comfortable self catering holiday. Approximately 8 miles from Weymouth. There is a village pub only a minutes walk away. Modern facilities throughout include television with digital channels, DVD player, Video Player, mini HI-FI, hairdryer and shaving points. Fisherman's Cottage has a pleasant walled side and rear garden with patio areas, lawn and planting. 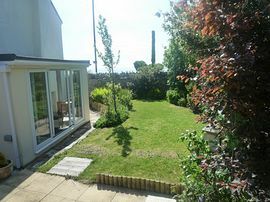 Situated close to Jurassic coast path. about a mile from Portland Bill lighthouse. Beautiful sea views from house and garden, where you can watch passing ships and boats. Weekly: from £350.00 - £895.00.